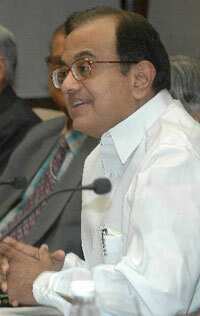 New Delhi: The Communist Party of India (Marxist), or CPM, demanded the resignation of Union home minister P. Chidambaram for his alleged role in decisions relating to the allocation of second-generation (2G) telecom spectrum. “The Prime Minister’s role, we have been saying it, he knew everything since November 2007 since (former telecom minister) A. Raja was there, but he never intervened," Karat said in reply to a question on what the party’s view was on Prime Minster Manmohan Singh in the backdrop of Chidambaram’s alleged involvement in the spectrum allocation. The politburo meeting, which was skipped by senior CPM leader Buddhadeb Bhattacharjee, citing health reasons, also attacked the proposed “rath yatra" of Bharatiya Janata Party (BJP) leader L.K. Advani, terming it “surprising and ironical". “One cannot help but admire the BJP’s total hypocrisy on the stand of corruption," Karat said. “This rath yatra will have no credibility whatsoever among the people," he said, pointing to the alleged illegal mining case in BJP-ruled Karnataka.